Trying to understand the person of Jesus? Recent decades have seen a multitude of attempts to redefine, reinterpret and reinvent the person of Jesus Christ and the meaning of Christianity. But none of these reinterpretations - influenced by sources such as the Jesus Seminar, New Age philosophers like Deepak Chopra, novelist Dan Brown and media personality Oprah Winfrey - pays heed to the Bible's account of Jesus' life. In WHY JESUS? 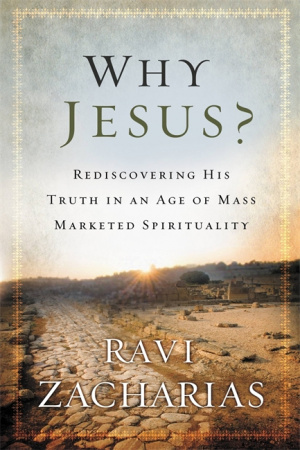 Ravi Zacharias analyses the 'spiritual' movements of the past 40 years, debunking their claims and returning the reader to the classic, biblical definition of Jesus' person, work and teaching. Focusing on Christianity's central tenet - the bodily resurrection of Christ - Zacharias makes a passionate, imaginative and convincing case that the biblical Jesus is the real Jesus. Why Jesus? by Ravi Zacharias was published by Hodder Faith in July 2014 and is our 9826th best seller. The ISBN for Why Jesus? is 9780892963058. Be the first to review Why Jesus?! Got a question? No problem! Just click here to ask us about Why Jesus?.